With everything that's going on the last few months (I'm talking about the health issues), I needed to get away for a couple of days. Not only to see the sun, that let us all wait too long, but also to clear my head and forget the 'reality' for a weekend. 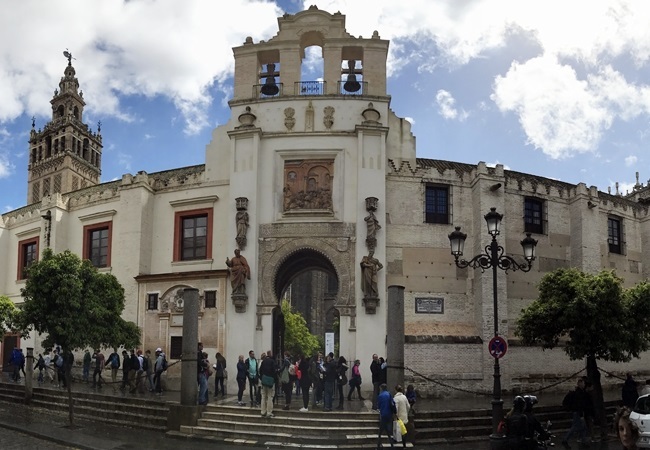 We wanted a destination with good weather and great food, some nice sightseeing and just quite relaxing, so Sevilla was the outcome and we didn't had a lot of sun at all. From all the days in the month March we had a weekend of rain and lower temperatures. And since we came back last weekend, the sun has been shining non-stop and I guess it was just bad luck. Every trip you book is a risk, but I didn't see that one coming though. However it was amazing to be there. We arrived friday evening at 9.30 and left on monday at 5.00 in the evening. So a good two days and a half in Sevilla and that was more than enough to discover the city. 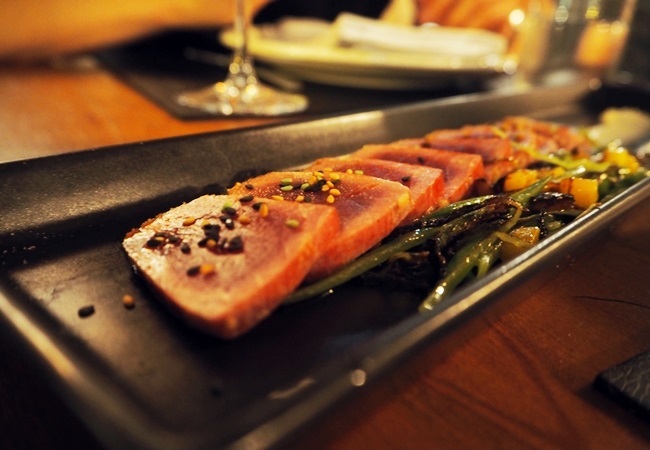 Not enough if you want to enjoy all the amazing places to eat, but for sightseeing it is. I will divide this travel guide in three parts: 1. Saturday, 2. Sunday, 3. Monday. With the walking routes we did, the places we've been to eat and more. And as I did some research before leaving and created a presentation on the iPad (control-freak), I will share my maps with you as well. *. Where did we stay? As usual I went on Booking.com to find a nice place. But this time it was almost all completely full and booked in Sevilla. I guess more people were hoping for the sun. #badchoice Haha! Most of the available hotels were the typical Spanish ones with a very low or basic/standard form of comfort. But we found a nice hotel in the 'Triana' area. 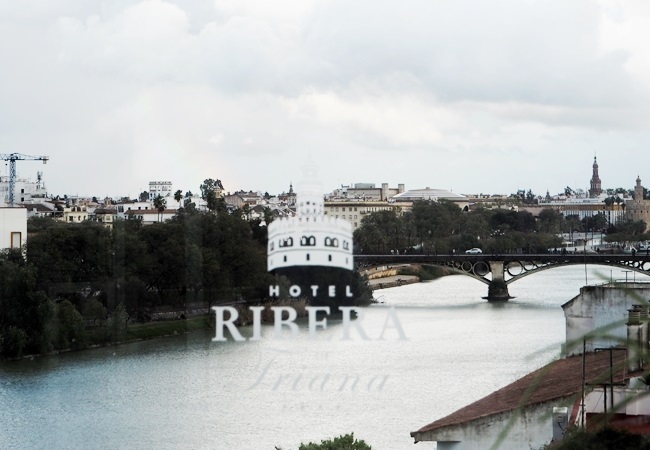 The name: Ribera de Triana, or translated 'bank of Triana'. The hotel had an amazing view over the city when standing on the highest floor, had a Spa, rooftop bar, a fitness room, a small pool to cool down when the temperatures in Sevilla are high (starting from June till September it can go up to 45°C), and great/clean rooms. The staff at the hotel was super kind as well and helped with everything they could. From the hotel it was about 15-20minutes walking to the historical centrum of the city. And you were only a few minutes away from Triana itself. *. What did we do on Saturday? As we arrived late on Friday, we went for a drink on the rooftop to start the trip in a good way and went to bed after it to have enough energy on Saturday. 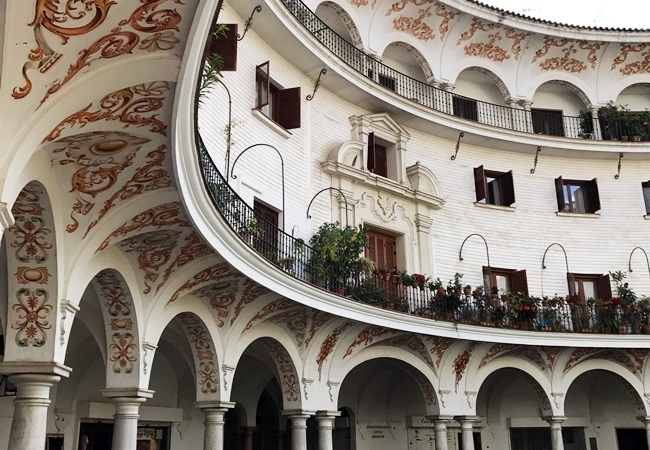 We decided to visit the historical centrum first and on Sunday the Triana area. From the hotel we walked towards Las Setas or called 'Metropol Parasol' as well. A wooden architectural building in the center of Sevilla. Quite impressive during night as it's all lightened up, but during the day it was kind of weird to see a wooden structure that big in between historical houses. But good to see anyway. All around Metropol you have lots of bars and places for breakfast. We wanted to go to 'La Cacharreria - Calle Regina 14', but there was too many people waiting in line to have breakfast. And honestly, I don't want to wait for food, haha! But when lucky I'm sure you can have the best breakfast ever. As we walked by all the bars we found the place 'La Crème de La Crème - Calle Regina 1'. You could eat the typical tomato bread with Jamon Iberico, have fresh orange juice, pancakes and so much more. It was cheap, delicious but also quite busy. So a tip: check the hours on Google to see when it's usual the most busy to avoid long waiting times. From Las Setas we walked through some of the Shopping streets - Calle Velazquez / Calle Tetuan - towards the Cathedral of Sevilla and we passed by the Ayuntamiento as well. 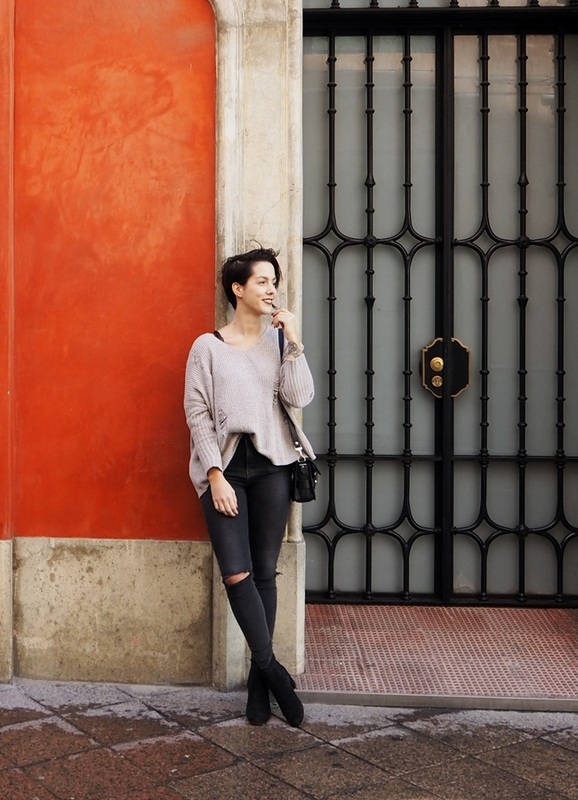 Amazing buildings and all the small streets we've been through are colorful and are asking for outfit pictures. 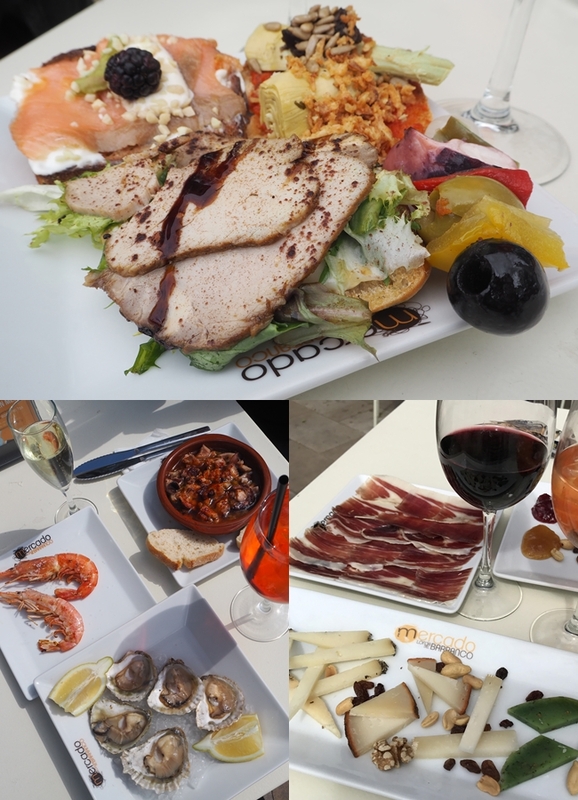 There we had a small stop as the sun came through and had some tapas at 'Robles Laredo - Calle Sierpes 90'. Later on we walked all around the Cathedral, stopped at Dunkin' Donuts for my dose of sugar (they have them around every corner! I don't understand why it's taking so long to have one in Belgium?! ), and walked to the parcs Royal Alcazar and Plaza de España. 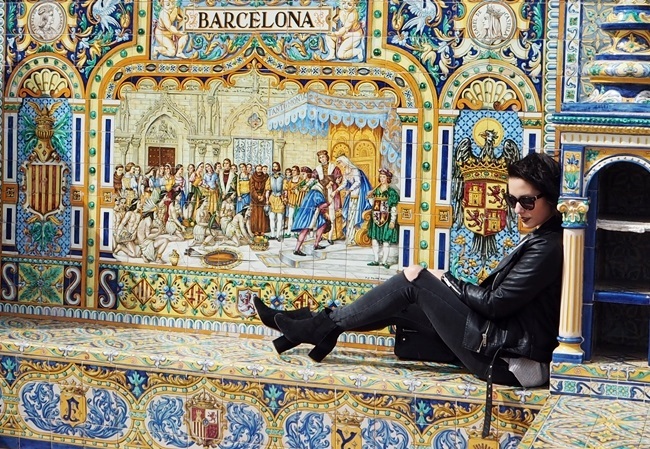 Both touristic but a must see when in Sevilla. From the parcs we went back to our hotel route via 'Plaza de Toros'. Unfortunately the arena was not open and you could only visit the museum. As a Spanish half blood I would've loved to see the arena itself as it's a part of my culture and I've never seen it before. But the place was closed due to the rain. We ended our afternoon with a drink at the rooftop and later that night we attented a typical Flamenco event at 'La Casa del Flamenco - Calle Ximenez de Enciso' and watched the Revolera for an hour. No pictures or videos were allowed during the show, but I took one at the end to show you a least a glimpse. 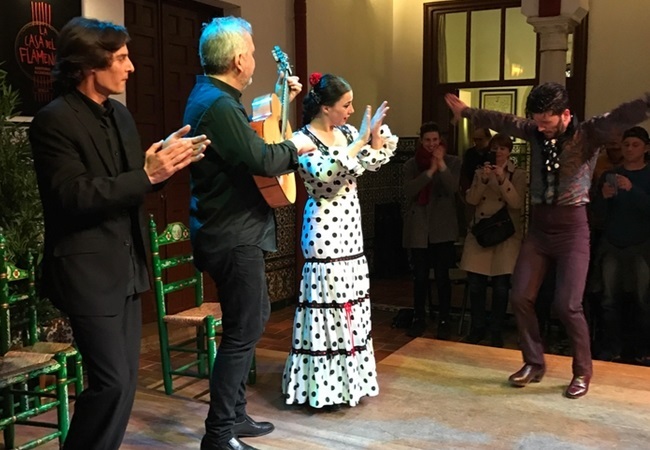 It's defenitely worth to see if you never saw a real Flamenco show before. At the same time it was for me a little throwback to when I danced it as a little kid. *. What did we do on Sunday? 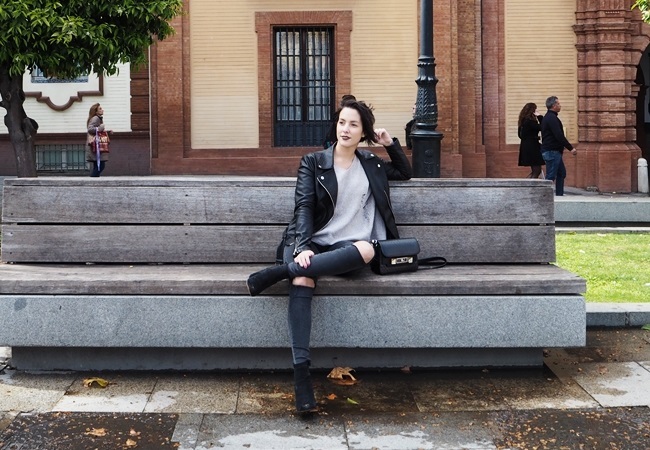 As a lot of stores and bars are closed on Sunday we decided to visit the Triana area that day so we had enough time on Saturday for shopping as well. 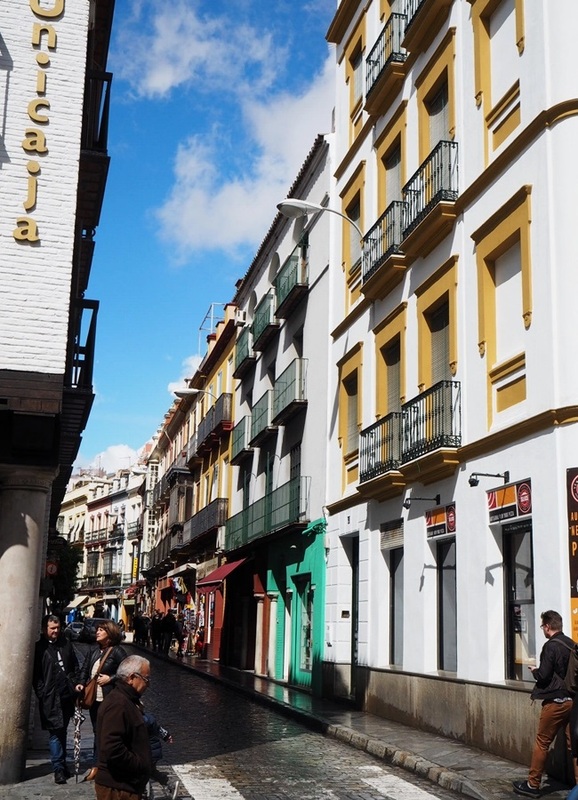 On the internet you can read about the history of Triana, but in reality it wasn't so special. You could see that you were going outside the big city into the living areas (apartments, small houses) and it wasn't so pretty as mentioned. Important to tell you as I really expected more of it and I don't want you to be disappointed either! We did take a little breakfast in one of the local bars 'Taberna El Papelon - Calle San Jacinto 14' and went for a piece of bread with Jamon Iberico as it's almost the only thing you can eat in those Spanish bars together with your coffee. You need to know that in Spain they're not so into big breakfasts as we are sometimes. No eggs, pancakes only in more modern bars, and mostly tomato- or jamon bread in the local bars. Fine for me as I love it and at the same time paying 15 or 20€ for a hotels breakfast is too much. Especially if you know that a coffee + bread costs you around 5€. And if you want sugar go to the Dunkin' Donuts, haha! Also on Sunday we wanted to go to a hotspot called 'Las Columnas', just in front of were we had breakfast, but also there was too many people. 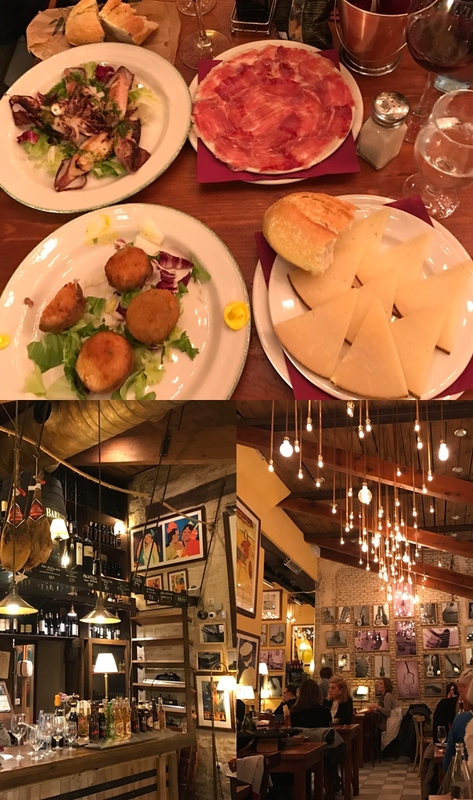 After walking through the Triana area we went back over the river and had lunch at 'Mercado Lonja Del Barranco - Calle Arjona'. 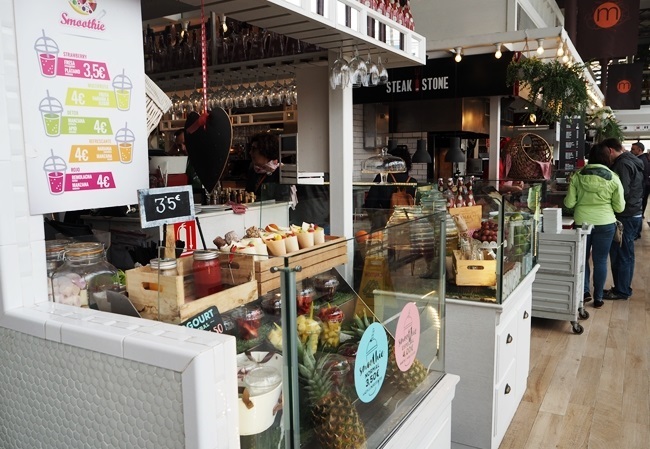 It's the same concept as the Mercado in Antwerp, Holy food Market in Ghent and the other Mercado's in Lisbon, Barcelona,... But I must say that this one was my favorite so far. You had so many tapas stands; from meat to fish, cheese, sweets such as ice cream, pancakes,... and loads of bars. On the inside not that many space to eat as in our Mercado's, but outside a nice terrace with high bar stools. We spended 4hours there and a couple of Gins and Aperols later we went back to the hotel. 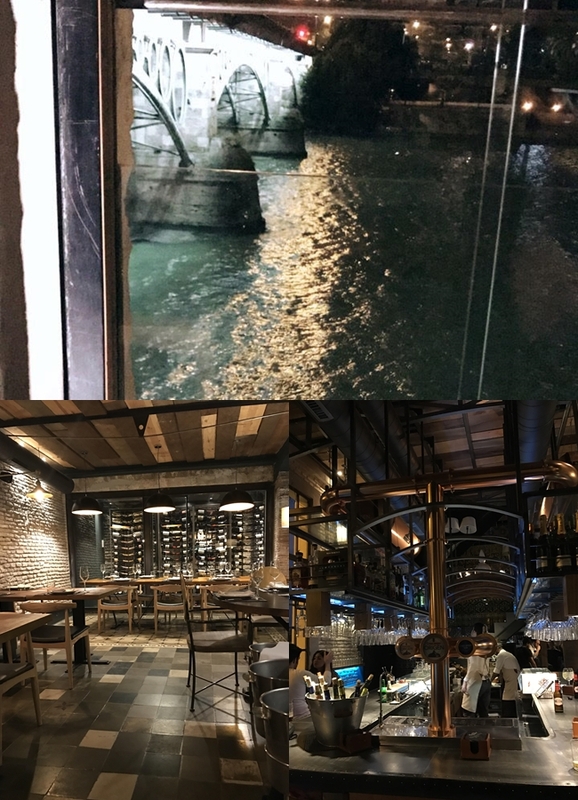 While walking back to the hotel we passed by a restaurant at the water 'Mariatrifulca - Puente de Triana', also back into the Triana area, and we booked a table for later that night. It was the last table left, so if you want to go, book in advance. Especially if you want the view over the water as there were only two tables with the view. The food there was oke, not super special for a place like that and the prices were normal. By normal I mean around the prices as in Belgium. You pay especially for the view I guess. The interior was great in a historical building. The menu card was only in Spanish though and the waiters aren't really speaking English fluently, but they tried. In this restaurant it had to go very quick as well. We managed to make them understand that we were there to enjoy our evening and to relax, not to hurry up and ciao. So they left us alone and were friendly overall. At the end we received the table at the water once the other couple left, so I guess speaking up a bit isn't so bad sometimes. *. What did we do on Monday? We saw the two most important areas during the weekend and had a whole morning and a part of the afternoon free before going back home. 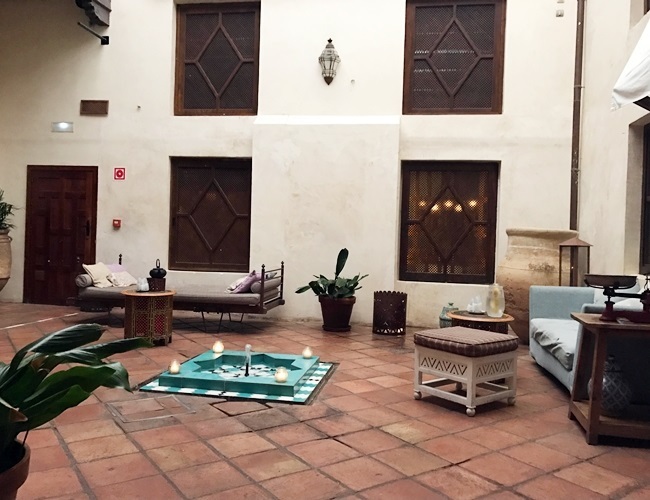 While doing research at home I found the 'Aire de Sevilla - Calle Aire 15' spa. A wellness resort (yes I call it a resort) with Arabic influences. And what's better than ending a great trip with a relaxed moment? They invited us for a spa experience and massage of 30minutes. No pictures were allowed to respect the other people enjoying their moments there, but believe me that it was beyond amazing. 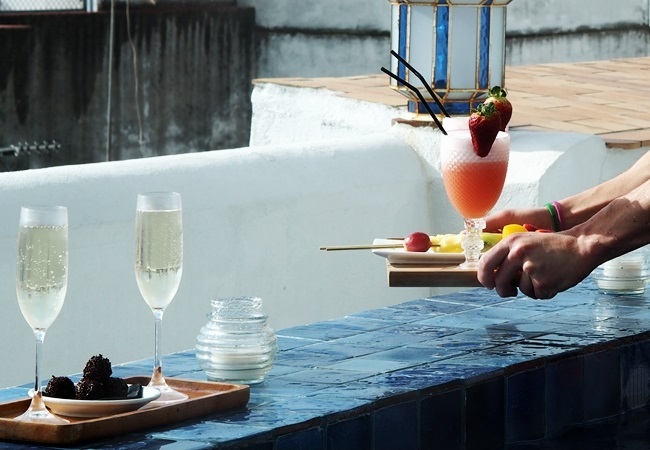 We got exclusive access to the rooftop spa with a view over the Cathedral and had a nice glass of champagne, some chocolates, fruits and a cocktail as well. I felt like in heaven. In the wellness itself you have a steam bath, wine bath, jacuzzi pool, salt bath and many more. 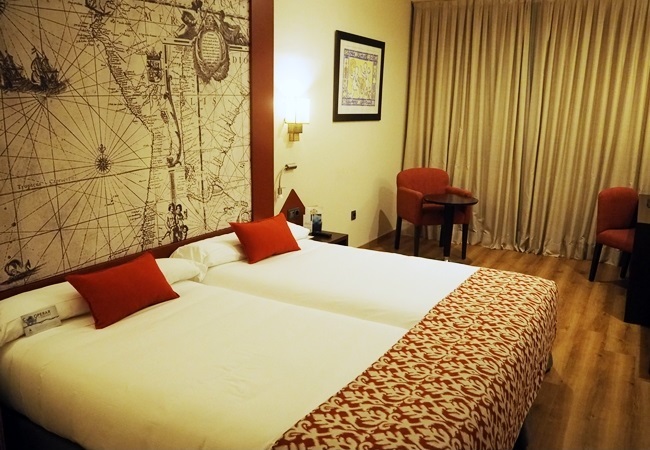 All well organized by friendly staff and really clean. They make sure your stay there runs smoothly and the ladies with their little accent are so lovely. The massage was relaxing, a bit soft, but that's a personal opinion for everyone. So if you have some time left (about two hours you need there, go to the Spa for sure. You can book your appointment through their website by clicking here. 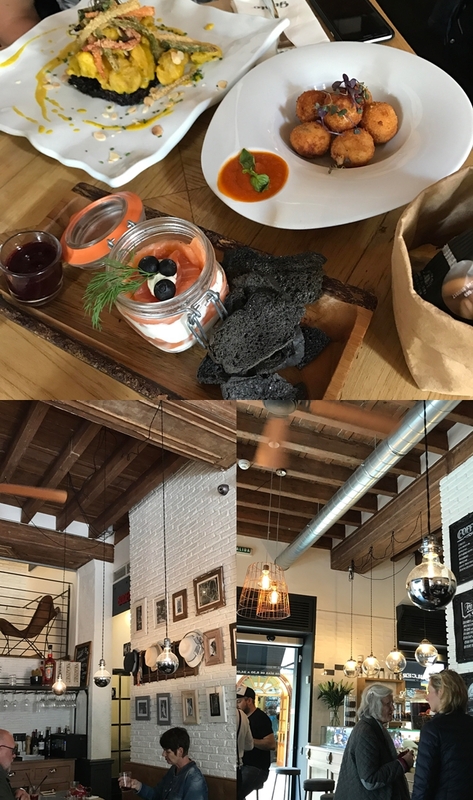 After the wellness we had lunch at 'Gusto Caro - Calle Alemanes 23', also discovered by passing by with the taxi on Saturday and it was the best place we've eaten during our stay. A card in English and Spanish, good portions, super delicious, a great interior and friendly staff. 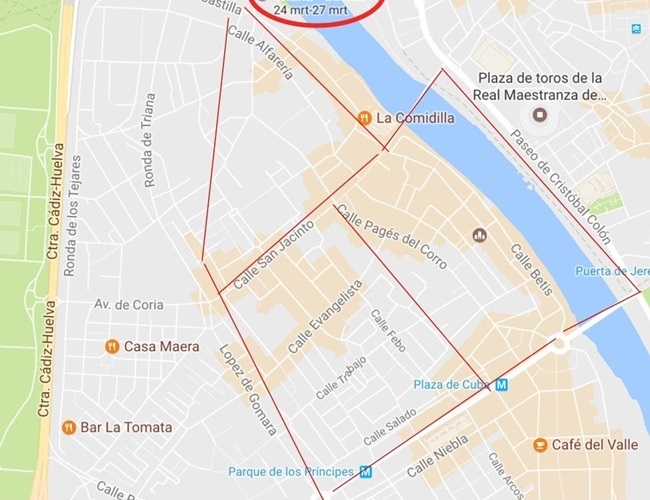 It's a place I would like to recommend to pass by when in Sevilla or near by the Cathedral. And after lunch we went back to the hotel, took our suitcases and headed over to the airport (30€ from the hotel with a taxi). So to conclude it was an amazing experience to discover the city of my 'roots' and from moms family. We would've loved to have a bit more sun but it didn't ruined our stay at all. 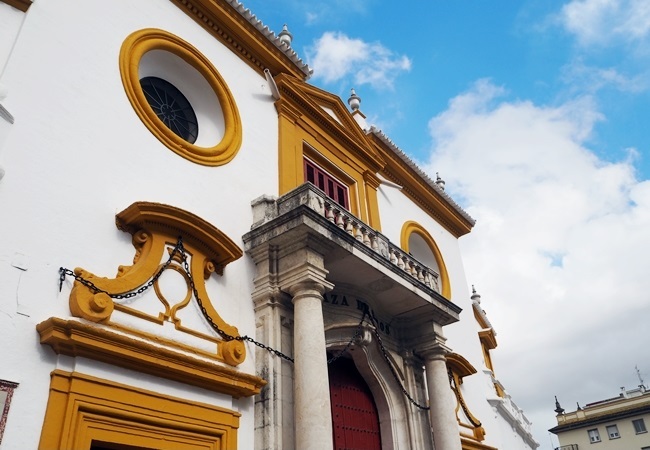 Sevilla is a city with lovely places to eat, beautiful little streets to discover and some great historical buildings. 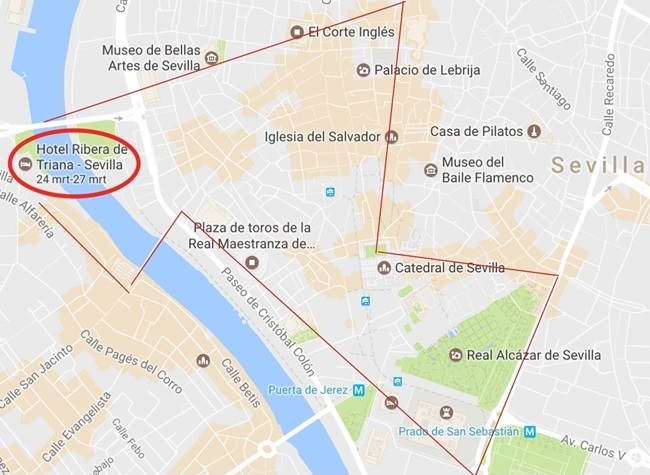 Let me know if you're going to Sevilla soon and how your experiences are! #hastalaproxima PS: an extra tip to remember. They will always put bread on the table that you need to pay, even if not touched they put it on the bill. If you didn't eat it, just call the waiter and tell him, they will adjust it. But check it as you can save sometimes 5€ or more if they charge per person.